Diane’s Kitchen Shop is Woodstock Hardware’s award-winning gourmet kitchenware shop located on the second floor of Woodstock Hardware. Diane’s Kitchen Shop includes nearly 3000 items, purchased through more than seventy-five, of the best kitchen manufacturers, to help make your kitchen the favorite part of your home. Not only will you find the top quality, traditional, tried-and-true products you use and love, you will also find the hottest brand names and gadgets on the market today. A destination for many in the Hudson Valley, our customers love browsing through Diane’s extensive inventory. Some customers stop by every few weeks to see what is new. The funniest is when many of our customers tell their visiting guests “I have to take you to the hardware store tomorrow and show you the kitchen stuff.” Before they get here many guest think “the hardware store?” But after being here a few minutes they get it! Woodstock Hardware also supplies a number of local restaurants and food establishments with the kitchen and restaurant supplies they use on a daily basis to meet their food preparation and cooking needs. The way we see things at Woodstock Hardware where else can you buy a wax ring for your toilet, a bag of water softener salt, a piece of six-inch stove pipe, BugMeNot All Natural Insect Repellent and a charlotte or madeleine pan at the same time? Woodstock Hardware of course! In addition to the Kitchen products and supplies you need Woodstock Hardware can also provide you the technical expertise required to help you make sure you select the best Kitchen product to meet your needs. 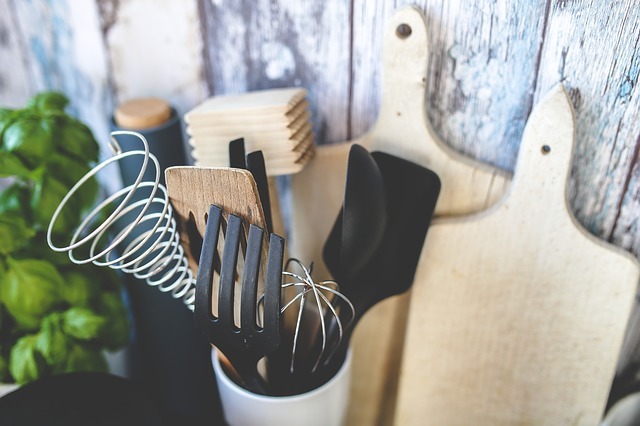 Here are a few tips to consider when buying and using kitchen tools, gadgets and supplies. 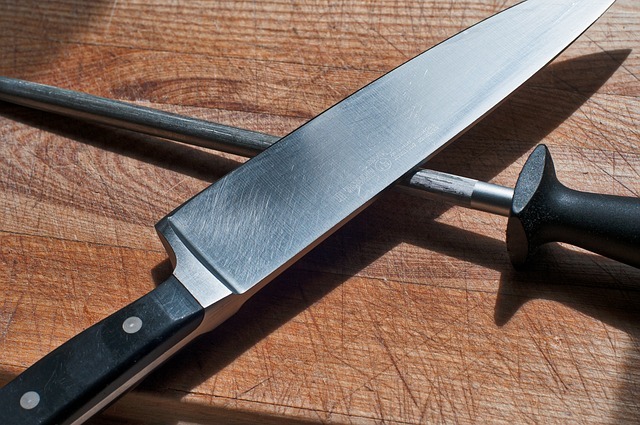 An eight-inch chef’s knife is the most common size chef knife. Ceramic blade knives are sharper than steel and can be used to cut anything that does not have a bone. They are great for fruit and vegetables. Use a serrated bread knife to cut large items such as watermelons and cantaloupes. A smooth knife such as a chef’s knife may slide on these type items. Have two sets of measuring spoons to avoid having to wash them in the middle of a recipe. Most recipes call for a 9-inch pie plate. You may want a “deep dish” pie plate for those apple pie recipes. If your cutting board slides on your counter place a damp towel under the cutting board to keep it from sliding. Of course, avoid cutting fruit and vegetables on a board used to cut fresh meat. Have two timers if you will be timing multiple parts of a recipe or buy a digital timer that has multiple alarms. A ten-inch frying pan is the most common size. Purchase a oven safe frying pan such as a cast iron pan so you can use it for multiple purposes. Pizza stones let you make “professional” pizza both in the stove and on the grill. A table knife can be substituted for a cake spatula when icing a cake. If you are going to own one Dutch oven make sure you get an 8-quart or bigger so you can cook bigger recipes and have left overs. Metal spring loaded scalloped edge tongs are the most popular. Make sure the tongs have a one handed operated lock at the top for easy use. Silicone utensils can withstand up to five hundred degrees and are great for use in nonstick pans. A swivel bladed peeler is easier to use. Get a dishwasher safe whisk to make cleanup easier. A box type grater with a handle is the most common and one with a bigger base will help avoid the grater form slipping during use. Regardless of what you are trying to organize your kitchen, make it easier to prep an cook food for you and your family, or are looking for an easier way to clean up those messes Diane’s Kitchen Shop located on the second floor of Woodstock Hardware has the kitchen products and supplies you need.